For certain types of obesity surgical treatment often the only effective alternative to lose weight and achieve the ideal or normal weight at which you feel most comfortable. But how many kilos you lose for a success bariatric surgery. In this article you will find the answer. Obesity is quite difficult to address, because it can be multicausal disease. If these causes are not treated in time can be complicate with a morbidly obese. One of the possible treatments for this disease is bariatric surgery, which has special features allow you to lose excess weight gained during years. To find out if this surgery is successful, it is important to know how many kilos you lose for this surgery. How many kilos you lose for bariatric surgery? The most practical and easy way to know when bariatric surgery is considered a success, is relating it to lost weight. Overweight the number of kilos that weighs a patient, less ideal weight which should be considered. The calculation is very easy, if a person weighs 230 kilos but should weigh 85, overweight is 145 kilos. If after bariatric surgery, a person loses 50% of overweight and is considered a successful treatment. This 50% would be considered the basis for considering successful bariatric surgery. If you lose less overweight, surgery would not be satisfactory. Bariatric surgery is considered a functional surgery and its results depend on the function of the body and not the body itself. In this type of surgery alters the function of one or two organs, but the results will depend on other factors, such as for example psychological factors. Two same people under the same intervention may get very different results. 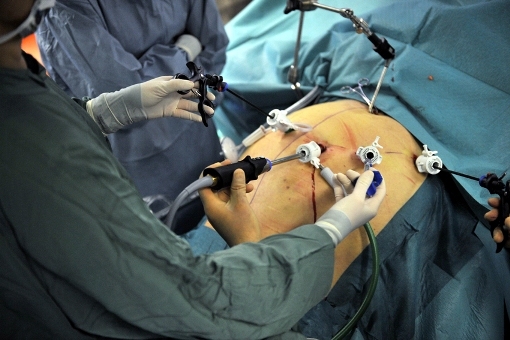 Therefore, it is estimated that bariatric surgery is effective in about 75% of operated patients. Similarly, the remaining 25% does not mean that the outcome is unfavorable or a failure, as they may have made progress but not at the expected pace. The bariatric surgery is a treatment which in many cases is the only possible for many people to improve their quality of life. So if your Body Mass Index (BMI) is greater than 40 or 30 with other risk factors (hypertension, high glucose, and high cholesterol) do not hesitate to consult your doctor to assess that effective chance you have of doing surgery.